Why should you select a home with abundant natural light? Blog / Why should you select a home with abundant natural light? While choosing our next home via an open house or direct showing, we consider an array of factors. These factors include the visual appeal, the area of the house, repairs needed, and various other details. The availability of the natural light is one major factor that is usually ignored by us. If consider this aspect seriously, we will realize how a house offering an ample amount of natural light can completely modify your life. Do you know that sunlight is a natural disinfectant? Well, this is not the only way through which sunlight keeps you healthy. You are able to improve digestion, immunity, and receive a sufficient dose of Vitamin D. Various research reports also prove that sunlight improves the quality of sleep. The sunlight also helps you release the hormones serotonin and endorphins. Both of these hormones are responsible for improving your mood. If your house receives a substantial amount of sunlight, your dependency on the artificial lights will be decreased. As a result, you can enjoy huge savings on your utility bills. You can also go a step further and install solar panels to enjoy free electricity. A sense of well-being offered by the natural light will encourage you to perform productive tasks. You will also feel energetic while in daylight, thereby improving your speed and efficiency. It will, ultimately, make you a better version of yourself in terms of both personal and professional life. Conclusion: All these benefits show that natural light should be one of the priorities while searching a home. You can take the support of Open House Day for finding a home that possesses a suitable amount of natural light. 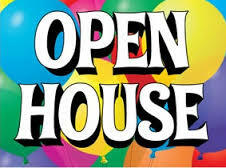 To check the upcoming open house events in California, visit this link: https://www.openhouseday.com.